A-Man is not a big fan of sitting down to do school work, so we’re always on the hunt for autism-friendly homeschool curriculum. See, we want our kids to love learning, so we spend a lot of time deciding which programs are worth doing and which aren’t. 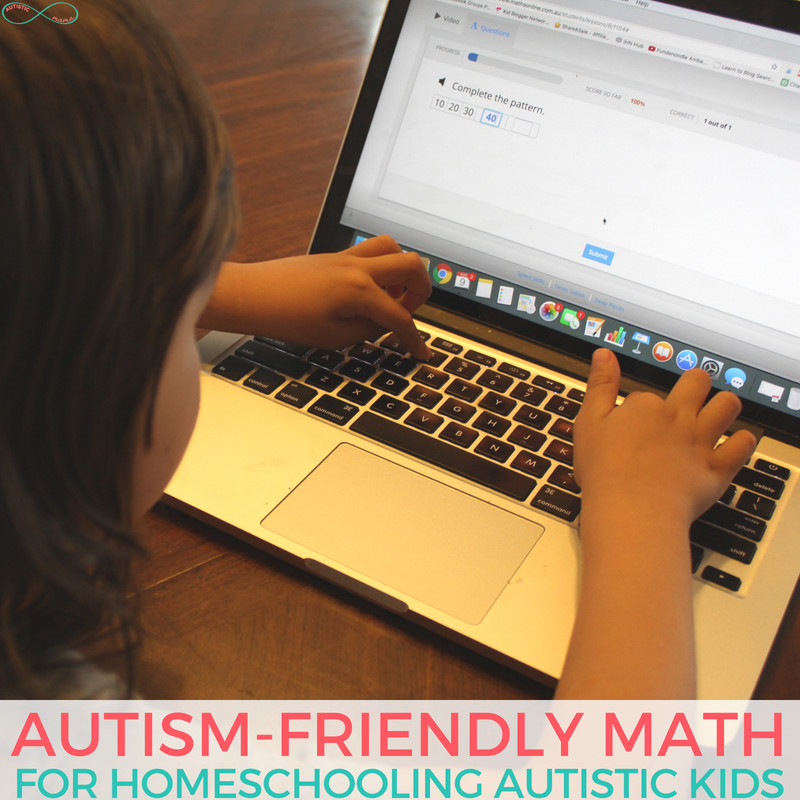 So today, I’m so excited to share an autism-friendly online math program that we’ve tried out this year and we really love. *This post is sponsored by CTC Math. I was given access to the program to try with my family, and I was compensated for my time. I was not required to give a positive review, and all thoughts and opinions are 100% my own. Please see my full disclosure for details. I’m not exaggerating when I say that CTC Math changed the way we teach math in our homeschool. It’s helped A-Man feel more confident in his math skills, and it’s been incredible to see. I have a video at the end of this post with more details, so be sure to watch to hear more of our story! CTC Math is an online math program from kindergarten to 12th grade. It can be done independently, which makes it perfect for big families. All major math concepts have been broken down into bite-sized video lessons with questions that relate directly to the video right after. There are also assessments for each grade and detailed progress reports available to you as the parent. Whenever a program is “independent” I always wonder if it will be truly independent for autistic children. So, in our homeschool, A-Man can’t quite do CTC Math independently because of computer skills, but he is really close. He watches the lessons independently, and he types his answers. We just have to help him move the mouse. His number sense has improved a ton just by starting to use the CTC Math lessons in our homeschool. He doesn’t just memorize answers, he actually understands the relationship between numbers. We’ve also lowered the arguments when it’s time to do school because it’s on the computer. He feels like it’s a reward. It’s also really helpful that he can re-watch the video lessons as many times as he needs it. #1 High-quality engaging videos: The videos are really high quality and use bright colors and pictures to engage kids through the entire thing. #2 Extremely clear questions: My son struggles with processing questions in most curriculums, but the questions after the CTC Math lessons were clear and he knew exactly what they were asking. #3 It keeps math fun: The program is done online and uses fun videos and quizzes, so the kids feel like they’re playing instead of dragging through an assignment. #4 It allows for multiple levels: There are different math sections, like number sense or geometry, and CTC Math allows you to be in different grade levels for the different sections. You can meet your autistic child exactly where they’re at with their lessons. 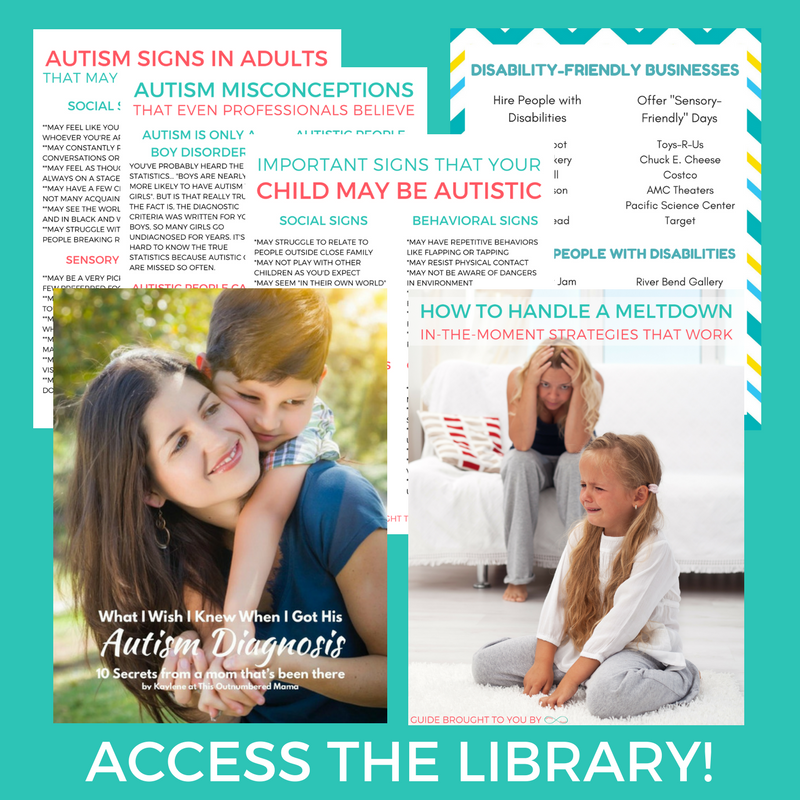 #5 Detailed progress reports for parents: When your child is autistic, it is all too easy to focus on what they can’t do instead of what they can. You can use the progress reports from CTC Math to see exactly how much your child is improving. First, I’m so excited about this, Homeschooling families get a massive 60% off discount to CTC Math, because they are so passionate about helping homeschoolers. You can also get a 12-month membership and get 6 months FREE, so you’ll have access to all of the CTC lessons for a total of 18 months. Watch the video below to hear more about our experience with CTC Math. 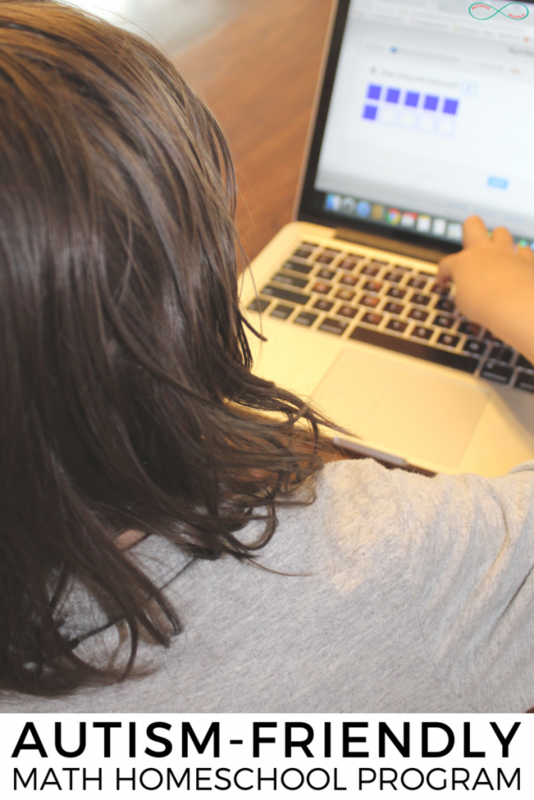 Oh, and CTC Math is hosting an incredible giveaway for homeschoolers, so be sure to enter! I’m starting homeschooling the end of this month. And I know somewhere along the way we are going to need some assistence in Math. Thank you.